Disneyland Resort announces changes to their annual passport blockout dates starting June 2019 in time for Star Wars: Galaxy’s Edge opening. 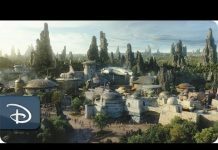 The Disneyland Resort announced today in an email to its annual passholders that it will, for the first time, be adding park-specific blockout dates to annual passports just ahead of the opening of Disneyland Park’s new Star Wars: Galaxy’s Edge land, currently under construction and opening summer 2019. The change means passholders will be able to get into Disney California Adventure while not Disneyland Park on certain dates. 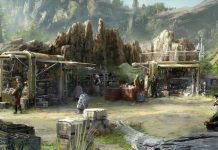 The move is a suggestion of park management anticipating increased demand that the new 15-acre Star Wars-themed land to the 63-year-old theme park; of the annual passports offered, only the Signature and Signature Plus passports will not be subject to the new park-specific blockouts. 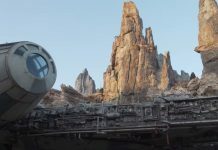 Already the last few years, the demand for the Disneyland Park is so high that, on the busiest days, the park has had to temporarily halt entry due to capacity limits; adding Star Wars: Galaxy’s Edge will very likely be pushing those limits to the brink even before taking the rumored one million Disneyland annual passholders into account. Will this move affect your plans to visit Disneyland Resort next year? 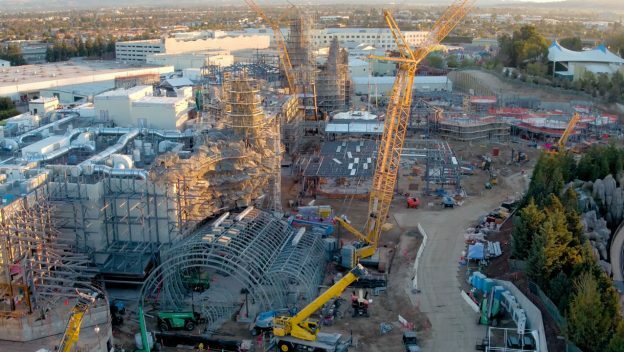 Below is a video flyover of the Star Wars: Galaxy’s Edge site under construction. As a long-time annual passholder myself, I could say that this won’t affect me because my pass is the only one not affected, but my loved ones’ passes are affected so I suppose this will change our plans at times. This is a pretty bold move, and while Disney California Adventure has stepped up its game in the last few years, it’s definitely seen as a booby prize of a park at the resort. I think I missed reading the article. I don’t know what we are discussing here. But every marketing plan that is considered golden makes consumers purchase more than they planned on. It’s never fair. It’s capitalism. Friends of mine who know my love of SW have asked me if I will be going when GE first opens. I’ve told them I will likely wait about a year before doing so. It will be bad then, but IHABFAT-level bad within that time frame. "I fear something terrible [will] happen-"